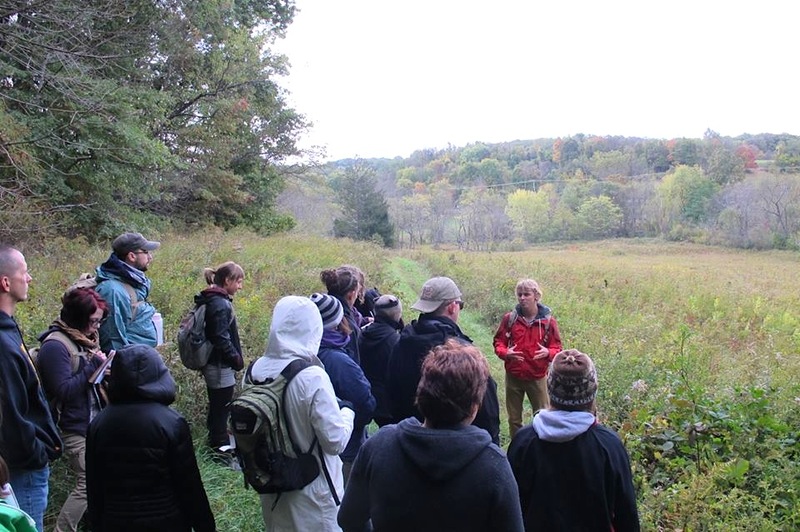 I had the pleasure of leading the Wild Edible and Medicinal Plants Workshop at Hartwood Acres this past Saturday, along with Erik Kulick of True North Wilderness Survival School. We covered more than a dozen species, including Lindera benzoin (spicebush), Pinus strobus (eastern white pine), and Quercus rubra (northern red oak). We harvested chicken of the woods, sampled a chaga-chai decoction, and experienced the ambrosial paw paw. The air was cool, the wind was steady, and no amount of hail could have kept us from learning how to tap a maple tree. Thank you to everyone who participated in the workshop … it was an honor to take part in it. Also a big thanks to Erik for hosting the event (and for snapping this photograph!). For more information on the classes, walks, and workshops I lead, please check out Wild Food Walks. Thank you! Categories: Foraging, Workshops | Permalink.